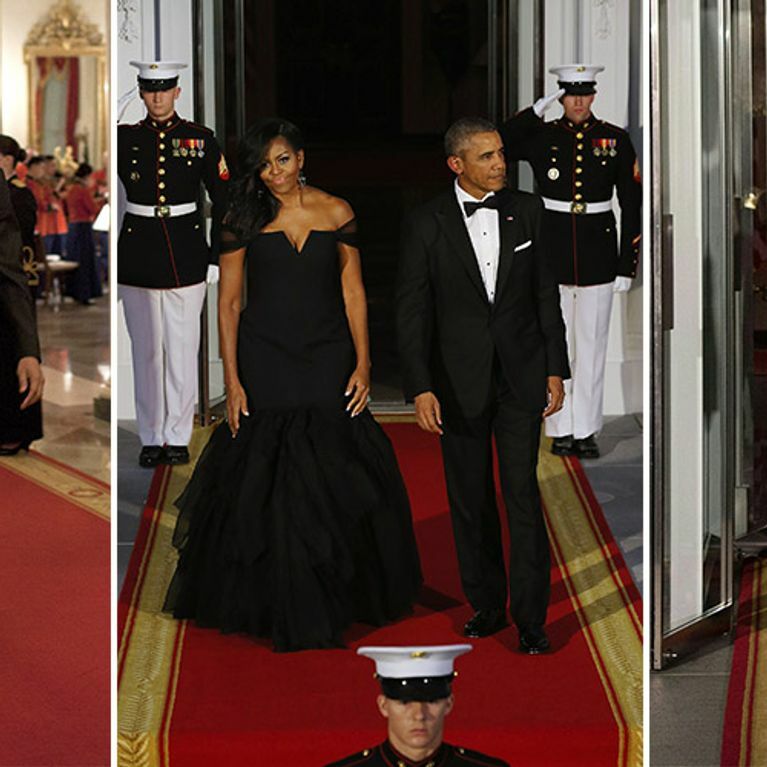 Like Kate Middleton, Michelle Obama is America's fashion beacon, showing ladies how to do clothes the classy way. From Caroline Herrera to Givenchy Couture, Michelle knows how to put an outfit together, be it for a plane journey to Cuba or the Whitehouse Correspondents dinner. And as Melania Trump prepares to take up the FLOTUS reins, here's a reminder of why Michelle will always be our favourite First Lady. We're so sad that Barack Obama's presidential residency is coming to an end, we really are. I mean yeah, we'll miss Barack. There's no doubt about it, we love that guy and his penchant for babies dressed as the pope. 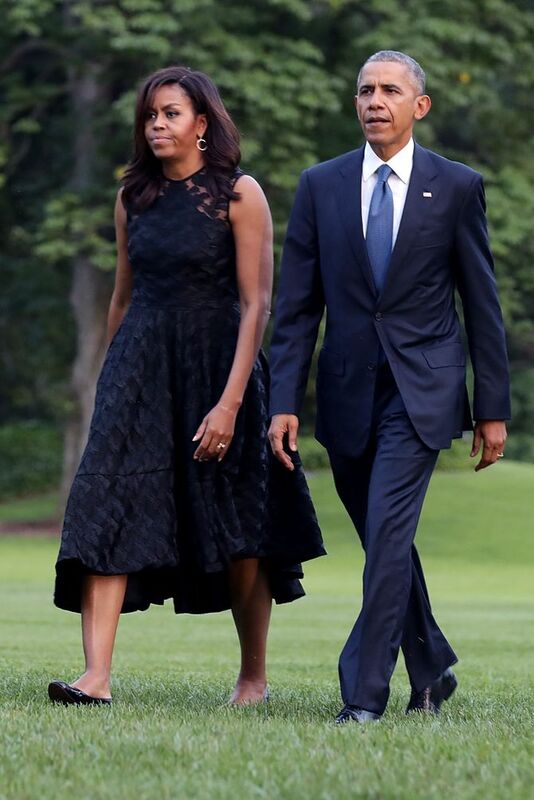 But what we'll really miss, what we'll really really miss, is the chance to swoon at Michelle Obama's consistently stunning outfits. We're always interested in what Mr Obama has to say, but when we can see Mrs Obama standing behind him in a stunning Roberto Cavalli gown? It's time to wrap it up, Prez. We need FLOTUS to give us a twirl. Whilst we've been pinning pictures of Michelle Obama in gorgeous designs from the likes of Jason Wu, Isabel Toledo, Narciso Rodriguez and Tracy Feith to our Pinterest dream boards, we've also seen her sporting a more casual vibe a la H&M and J. Crew giving us the ultimate classy weekend outfit inspiration.